GranuFlo and NaturaLyte are dialysis medications designed to treat individuals with chronic and acute renal (or kidney) failure. Often caused by diabetes or low blood pressure, it is estimated that kidney failure affects 2 million people around the world. That equates to every 2 out of 1,000 people in the United States. Given these figures, the serious cardiovascular side effects associated with 2012’s GranuFlo and NaturaLyte recall may be considered more troubling. The U.S. Food and Drug Administration (FDA) issued the recall that June after instances of sudden cardiac death, cardiovascular arrest, heart attacks, strokes and other injuries from patients who were administered the drugs during hemodialysis treatments were reported. These injuries, which may stem from GranuFlo’s high consistency of an ingredient the body converts to bicarbonate, have been suggested to occur within 72 hours. Elevated levels of bicarbonate in the blood stream may lead to metabolic alkalosis, a condition that causes the body’s pH level to rise, and in turn lead to low blood pressure and dangerous heart problems. Individuals suffering from metabolic alkalosis may experience confusion, muscle twitching, numbness, tingling, nausea and lightheadedness. GranuFlo and NaturaLyte are manufactured and marketed by Fresenius Medical Care, a leading supplier of dialysis drugs and services in the U.S. The medications, which come in powder and liquid forms, were approved by the FDA in 2003, when they were introduced in the company’s 1,800 dialysis clinics, as well as thousands of other treatment centers in the U.S. Prior to June 2012, it is estimated that GranuFlo and NaturaLyte were administered in approximately 125,000 customer clinics outside the Fresenius network. 2012’s GranuFlo and NaturaLyte recall may have marked the beginning of the FDA’s investigation into Fresenius. As it turns out, the company sent an internal memo to physicians operating in its dialysis clinics prior to the recall that alerted them of 941 heart-related deaths that occurred in recipients. According to the document issued on November 4, 2011, doctors were instructed to adjust dosages of GranuFlo and NaturaLyte to prevent further casualties. It wasn’t until March 27, 2012 that Fresenius issued an Urgent Product Notification to notify the general public of its products’ potential to cause sudden cardiac death, cardiovascular arrest, heart attacks, strokes and other cardiovascular injuries. A Class I recall from the FDA soon followed, affecting all NaturaLyte and GranuFlo vials manufactured between January 2008 and June 2012 and used in three-stream hemodialysis machines. A New York Times article published that summer indicated that the FDA had launched an investigation into whether Fresenius violated federal regulations by withholding vital safety information about GranuFlo and NaturaLyte from the general public. 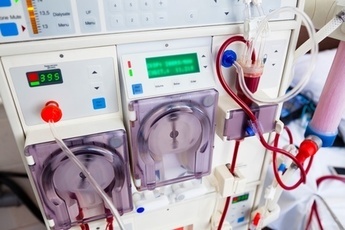 As the recall approaches its second anniversary, court documents from January 2014 show that the number of dialysis lawsuits over GranuFlo and NaturaLyte are continuing to mount. A Case List updated on January 15, 2014 by the U.S. Judicial Panel on Multidistrict Litigation (JPML) shows that 460 Fresenius cases have now been filed in a federal litigation established in the U.S. District Court, District of Massachusetts by dialysis patients and their families. These lawsuits similarly allege that GranuFlo and NaturaLyte were designed defectively by their manufacturer, who failed to adequately warn patients about the life-threatening heart injuries that may stem from use of its products.